Oregon 400i puts freshwater fun at your fingertips. 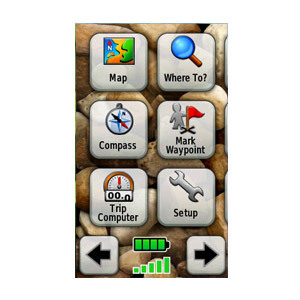 This next-generation handheld features a rugged, touchscreen along with preloaded U.S. Inland Lakes, a high-sensitivity receiver, barometric altimeter, electronic compass, microSD™ card slot, picture viewer and more. 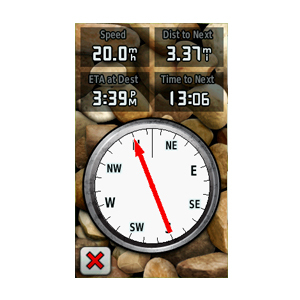 Even exchange tracks, waypoints, routes and geocaches wirelessly between similar units. Oregon 400i leads the way with a tough, 3-inch diagonal, sunlight-readable, color, touchscreen display. 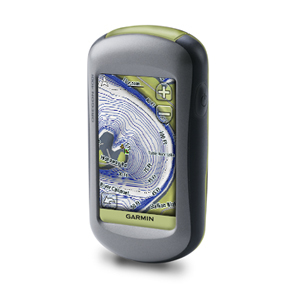 Its easy-to-use interface means you’ll spend more time enjoying the outdoors and less time searching for information. Both durable and water resistant, Oregon 400i is built to withstand the elements. Bumps, dust, dirt, humidity and water are no match for this rugged navigator. 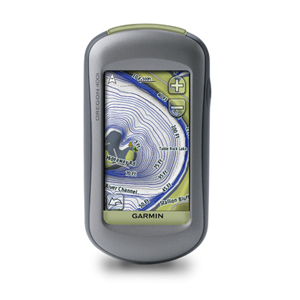 Oregon 400i comes with built-in U.S. Inland Lakes and a worldwide basemap with imagery — perfect for all your outdoor pursuits. 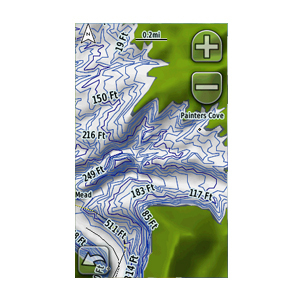 Map detail includes shoreline details, depth contours, boat ramps and mile markers for thousands of lakes in the continental U.S.
With Oregon 400i you can share your waypoints, tracks, routes and geocaches wirelessly other compatible Oregon, Colorado and Dakota users. Now you can send your favorite hike to your friend to enjoy or the location of a cache to find. Sharing data is easy. Just touch “send” to transfer your information to similar units. Oregon 400i supports OpenCaching.com GPX files for downloading geocaches and details straight to your unit. By going paperless, you're not only helping the environment but also improving efficiency. Oregon stores and displays key information, including location, terrain, difficulty, hints and descriptions, which means no more manually entering coordinates and paper print outs! Simply upload the GPX file to your unit and start hunting for caches. Show off photos of your excursions with Oregon’s picture viewer. Slim and lightweight, Oregon is the perfect companion for all your outdoor pursuits. 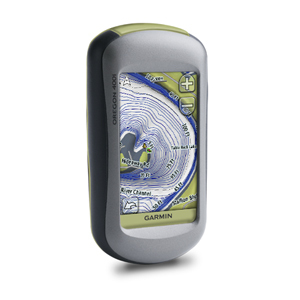 With its high-sensitivity, WAAS-enabled GPS receiver and HotFix™ satellite prediction, Oregon 400i locates your position quickly and precisely and maintains its GPS location even in heavy cover and deep canyons. The advantage is clear — whether you’re in deep woods or just near tall buildings and trees, you can count on Oregon to help you find your way when you need it the most. Oregon 400i has a built-in electronic compass that provides bearing information even while you're standing still, and its barometric altimeter tracks changes in pressure to pinpoint your precise altitude. 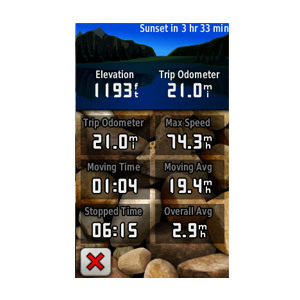 You can even use the altimeter to plot barometric pressure over time, which can help you keep an eye on changing weather conditions. Oregon 400i: Touch the great outdoors.